Build a taxiing battery operated aircraft! 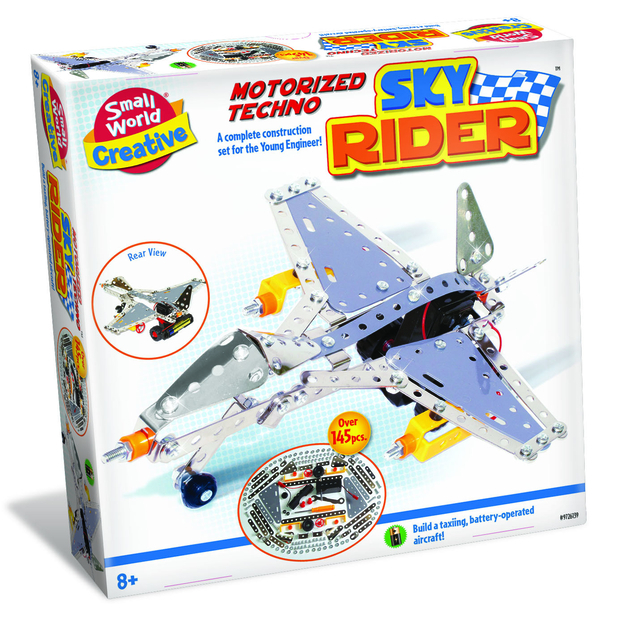 Get ready to take flight with this DIY set that lets little engineers build their own jet. Assemble and play, with over 140 pieces. Includes: wrench, screwdriver, wheels, nuts and bolts, plastic and metal parts, illustrated instructions and more!